On this eagerly-awaited new leader date for Norway's charismatic young trumpeter, Mathias Eick's intensely melodic instrument occupies centre stage. Against the powerful backdrops offered by his sleek, modern band, driven by two drummers, he delivers richly lyrical soliloquies in this album of self-penned tunes which will undoubtedly appeal to an audience beyond jazz. No one else sounds like this. Eick has taken the pensive lyricism and melancholy of his trumpet heroes - including Kenny Wheeler, Chet Baker and Miles Davis - and transformed the influence into something personal. His trumpet sings with great clarity and his solos, like his themes, are melodically memorable. Eick already has a very substantial listenership, and Skala, which also draws on influences from pop music (Joni Mitchell, Radiohead, Sting and Elton John are reference points) will expand it. 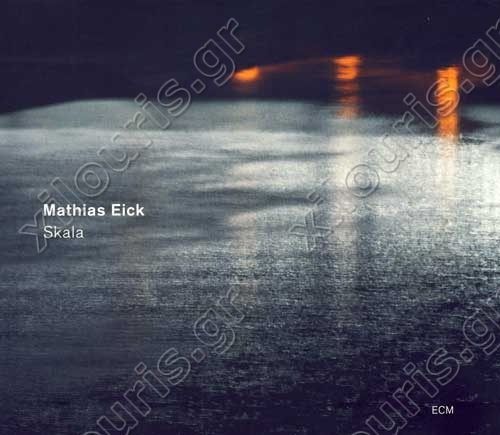 The Door, Mathias's ECM debut of 2008, was amongst the best-selling jazz albums of that year. In its first week of release it shot into the Norwegian pop charts, and topped jazz best-seller lists across Europe.